Resources corresponding to each section of the Saturate Field Guide by Jeff Vanderstelt & Ben Connelly are provided at the links below. A companion video series to complement the Saturate Field Guide learning experience. As disciples of Jesus, we don’t go to church; we are the Church. We are the body of Christ sent into the world to be disciples who make disciples of Jesus in the everyday stuff of life. We created the Saturate Field Guide to serve in equipping you, together in community, to understand the implications of the gospel, how it works out in discipleship, and how your new identity leads to a whole new way of living together. 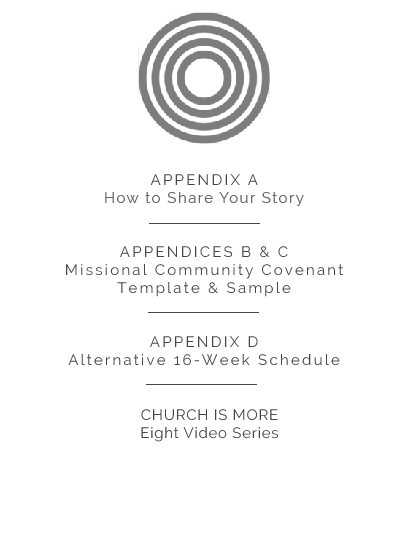 Includes one video for each week of the Field Guide, a leader video and a bonus video: Equipping the Church: Apostle, Prophet, Evangelist, Shepherd, and Teacher (APEST).